Isnt this a promo for some autism related charity? Hail Mary; full of grace. @Anonymous: Good call, Darren was his brother. WIN! 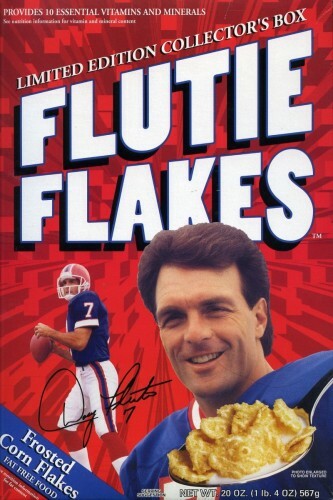 My dad was the probably the biggest Flutie fan ever and had more of these boxes than necessary.